Beranek Brothers installed a Xcaliber 90 LX Double 8 Parallel parlor for their dairy. Features include Boumatic 4200 detachers, Boumatic Evolution pulsators, Boumatic Flow Star Max Claws with 3/4″ outlets, Milkrite IP3-LMWBFS liners. 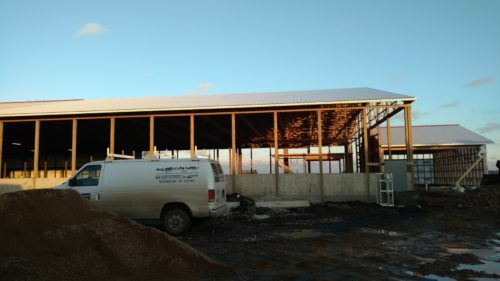 Additionally, B & R Dairy also installed Guardian wash system, Guardian JW, in floor hear and additional plumbing for the parlor and milk room, Thermastor, Plate Cooler, and Water Heaters. For additional pictures see the link below. Flow Star Max Claws with 3/4″ outlets, combined with Milkrite IP3-LMWBFS liners allow a Quick, Gentle, Complete milk out. The new free stall offers the best in cow comfort.